The municipality of Villa El Carmen and Gran Pacifica work together in the construction of the Roberto Clemente III Clinic. 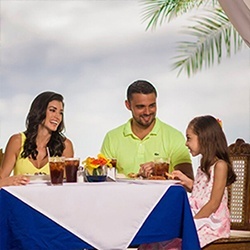 Long time friends of Gran Pacifica Resort may remember the journey of Elkin Zapata and his Grandmother, when 10 years ago, they traveled to the United States so that Elkin could receive a very special operation. Since the story is so heartwarming, we thought it deserved to be told again. Mercedes Somarriba has finally returned to her native Nicaraguan home, and is very happy to be back. More importantly, after all her time away, she can now give back to her country and its’ people. This story will walk you through her life’s journey, which inevitably, led her home again. The country's cultivation of ecotourism hasn’t required any major overhauls in existing ways of life nor in its ecological features, inviting more authentic, genuinely sustainable travel experiences. 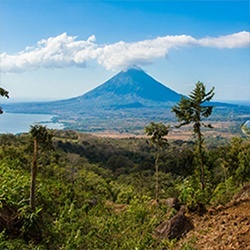 Whether you are climbing mountains, hiking the cloud forests, or taking in oceanic vistas, Nicaragua will not disappoint. 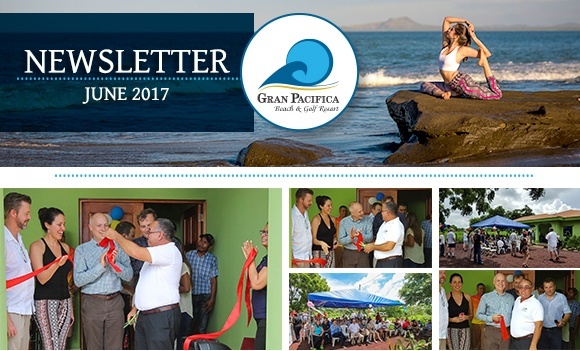 For those who call Nicaragua home, Gran Pacifica’s most recent projects make an incredibly positive impact on the local community. This past month has seen partnerships between Gran Pacifica, the Villa El Carmen municipality, and the Rotary Club of Western Pennsylvania raise the quality of living for many in the San Diego region. One resident in particular is grateful to see improvements to his community’s access to medical care. Elkin Fonseca Zapata understands just how important these services can be for those in need. Ten years ago, Elkin received an emergency tracheotomy. This was due to an accident that left him wearing a metal tracheostomy tube, which made normal breathing and speaking extremely difficult. However, with the help of innerCHANGE Associates International, a pediatric surgeon with Children’s Hospital in Pittsburgh, and Gran Pacifica Resort, Elkin received a very rare, specialized airway surgery that was only available at the Children's Airway and Voice Center in Pittsburgh. 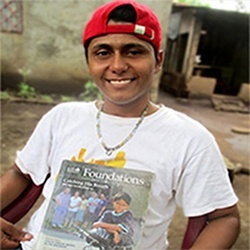 Elkin returned home with many new friends and experiences he says he will never forget. The opportunity to return home to beautiful Nicaragua was one Mercedes Somarriba couldn’t pass up. 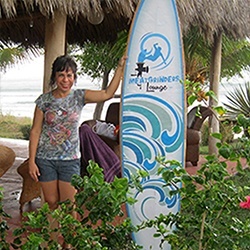 Mercedes’ life journey led her from Nicaragua to Costa Rica and Canada then back to her home. Her story is filled with unparalleled perseverance. Mercedes now works in Gran Pacifica’s accounting department, taking full advantage of the beautiful ocean vistas. For many, traveling can mean difficulties keeping in touch with loved ones. Imagine Elkin or Mercedes’ journeys without the ability to update their families. Luckily, Gran Pacifica Resort has world class telecommunications infrastructure. You’ll never miss a big moment (or a breathtaking Nicaraguan sunset) with the many modern developments in technology.